For years, high-rises have dominated the downtown Orlando skyline as the premier residential options in the urban city center. Phil Kean Design Group has set out to change that with the design of ten new brownstone-style townhome residences in the heart of downtown. Drawing inspiration from the iconic New York City Brownstones so often pictured as the epitome of luxury living, the townhomes of élan on Marks feature no shortage of breathtaking touches. Ten-foot ceilings and large glass windows and doors add light and create a feeling of space, while a floating staircase with thick, wood treads and a clear, glass railing delivers the modern, dramatic style Phil Kean is renowned for. When it comes to creating a modern floor plan fit for young, urban professionals living in downtown Orlando, open living spaces are the perfect choice. The Marks St. townhomes will feature two to three bedrooms and three-and-a-half baths, ideal for singles or those looking to start a family. From the private, two-car garage, residents will be able to reach the fourth-floor rooftop terrace via elevator, enjoying panoramic views of downtown from this versatile outdoor space. Orlando’s North Quarter is a fast-growing urban district in the heart of downtown and quickly making a name for itself throughout the city. With stylish high-rises, upscale eateries and, soon, the élan on Marks townhomes, the North Quarter has truly earned its reputation as the next great neighborhood in Orlando for those looking for a slice of luxury downtown living. Residents of the new townhomes will be just a short walk away from both fine dining and casual options, as well as shopping, nightlife, parks and everything else the city’s center has to offer. 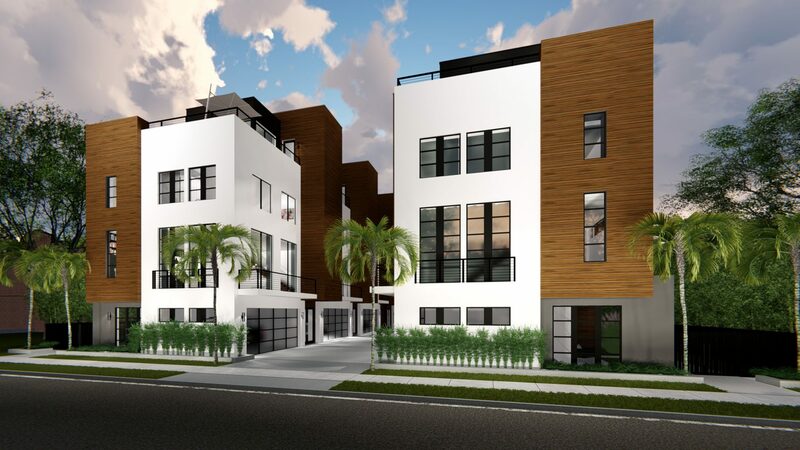 With two other luxury townhome developments underway in Winter Park, Phil Kean Design Group’s élan on Marks residences will deliver high-end design and world-class architecture to the streets of Orlando’s North Quarter.